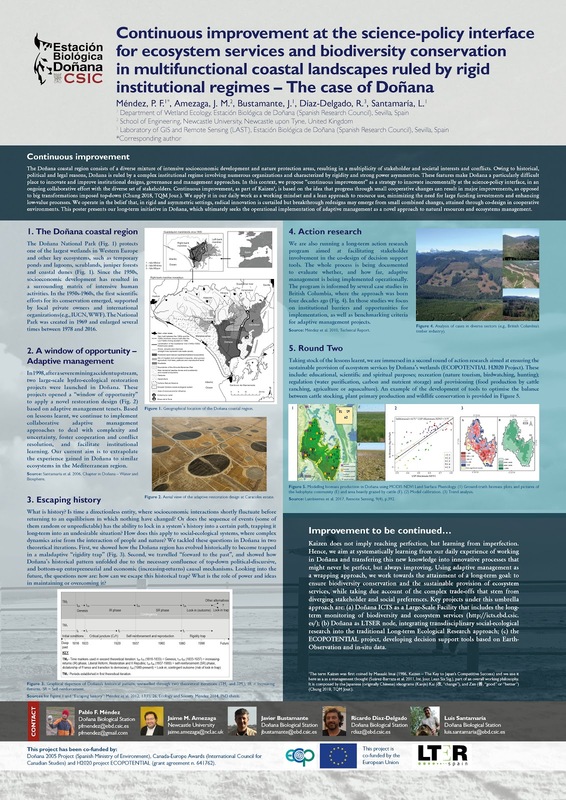 As part of a closing research cycle, I have recently presented a summary of the work developed in Doñana during the past thirteen years at the last ESP European Conference 2018 (San Sebastián, Spain). This is a closing, not an end, with more exciting work underway in collaboration with maverick researchers untiringly trying to change the old ways of doing things. As part of a new path, I also would like to (re)launch this blog and share my knowledge and experiences with the like-minded, the critic, the skeptics and the brick heads. 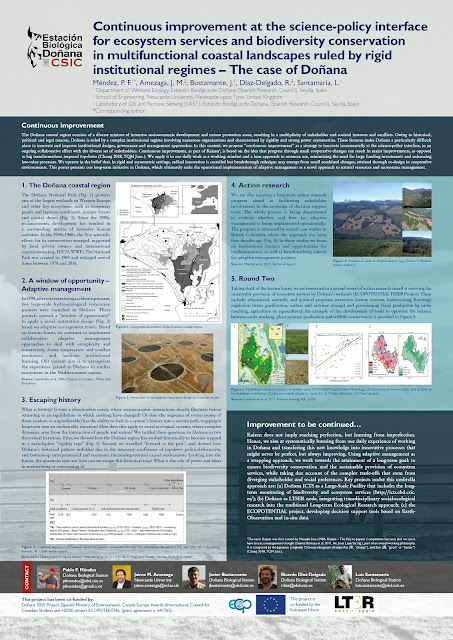 More content on my contribution to social-ecological research and institutional analysis to come soon...meanwhile, I hope that you enjoy this summary poster telling our story in Doñana.